An engrossing analysis of the pseudo-democratic methods employed by despots around the world to retain control Contrary to what is commonly believed, authoritarian leaders who agree to hold elections are generally able to remain in power longer than autocrats who refuse to allow the populace to vote. 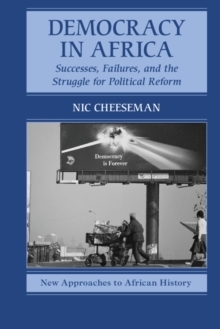 In this engaging and provocative book, Nic Cheeseman and Brian Klaas expose the limitations of national elections as a means of promoting democratization, and reveal the six essential strategies that dictators use to undermine the electoral process in order to guarantee victory for themselves. 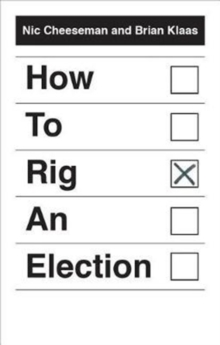 Based on their firsthand experiences as election watchers and their hundreds of interviews with presidents, prime ministers, diplomats, election officials, and conspirators, Cheeseman and Klaas document instances of election rigging from Argentina to Zimbabwe, including notable examples from Brazil, India, Nigeria, Russia, and the United States-touching on the 2016 election. Pages: 320 pages, 12 figs.